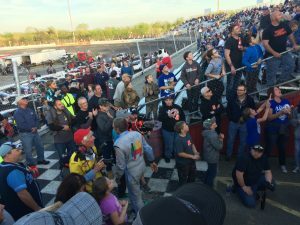 The Orange County Speedway — formerly the Trico Speedway — was re-opened and paved in 1983. Calling itself “the fastest 3/8-mile race track in America,” the asphalt oval banks 19 degrees on the turns and 16 degrees on the straightaways that allow drivers to take turns far faster than normal. 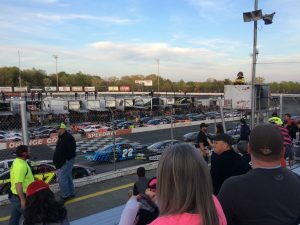 On this week’s edition of “This is Tourism,” join WCHL’s Ron Stutts as he speaks with Jack McNelly, owner of the CARS tour that’s taking place this weekend at the Orange County Speedway! 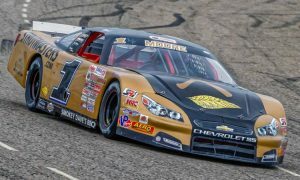 You can hear their full conversation below to learn more about the Old North State Nationals, the CARS Tour and how it creates a viable option for quality pavement racing throughout the Carolinas and beyond. The Old North State Nationals are presented by Visit Orange County, and will be a multi-day Late Model Stock race that will pay $30,000 to the first place finisher. 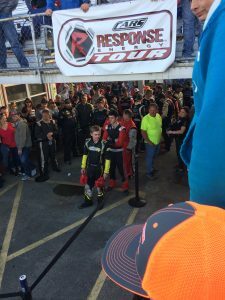 The weekend will kick off with teams and fans traveling in for test day on Friday April 5, followed by qualifying races and 200 laps of racing action from the best short track drivers the region has to offer on Sunday afternoon, April 7. Craig More drives a Chevy SS. Listen to his interview on This is Tourism, On Demand at chapelboro.com. Fans cheer on the driver athletes as they emerge from the tunnel and onto the speedway. 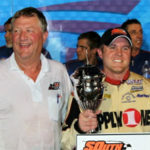 Some athletes are seasoned drivers with NASCAR experience, and others are teenagers with a serious passion for speed! 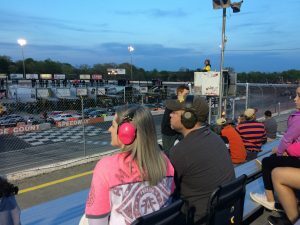 Regular visitors to the Orange County Speedway bring fancy ear protection. Smart! Brandon Willard is the 18 year old flagman atop his post. The cars speed up and slow down on his authoritative and graceful cue. This weekly segment uncovers the local impact the tourism industry has on our community, told through the stories of the people who make tourism flourish in Orange County. Listen during the Ron Stutts Show every Thursday at 8:40 for a new “This is Tourism” live interview!